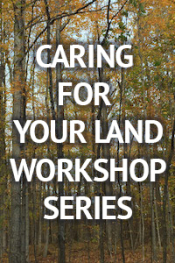 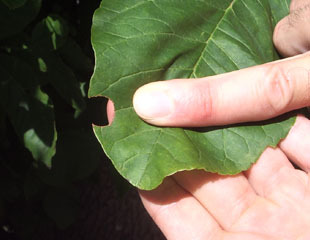 This workshop discusses health from the scale of a single tree, to the scale of the landscape. 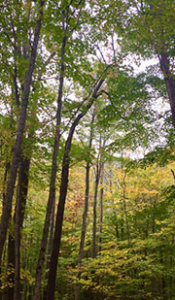 The various stresses placed on these systems are reviewed, and the actions that a forest manager or woodlot owner can take to maximize forest health are explored. 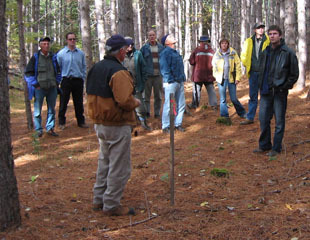 Eastern Ontario forest health review of plant health, forestry surveys, invasive plants and collaborative surveillance. 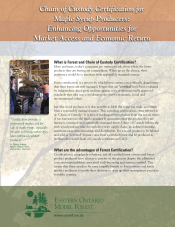 This brochure examines the opportunities for market access and economic return from a sustainably managed forest. 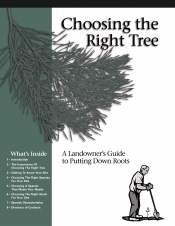 This book will help those landowners who have decided to plant trees and want to know what species is best suited to their site. 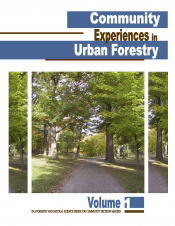 Community Experiences in Urban Forestry brings attention to some of the critical issues in our urban forest ecosystems and, more importantly, highlights some of the many community successes in responding to these issues. 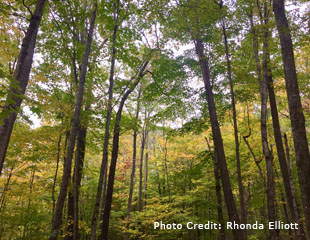 This report summarizes recommendations to assist in the development of a framework for the incorporation of sustainable forestry concepts into continuing education programs for forest resource managers in the Eastern Ontario Model Forest. 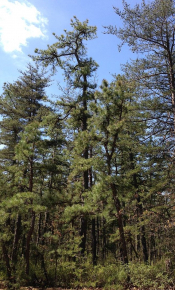 This report documents the present day abundance and distribution of pitch pine in Leeds County. 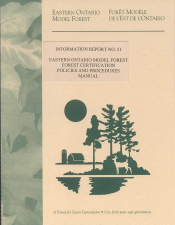 This manual provides the information necessary to implement a Forest Stewardship Council certificate for Sustainable Forestry Certification. 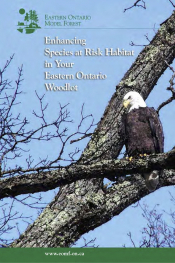 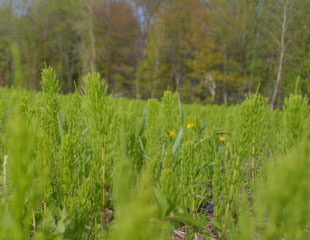 This booklet is intended as a tool to assist landowners in enhancing species at risk habitat. 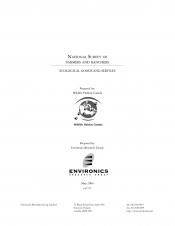 Report on a survey of Canadian farmers and ranchers to look at issues surrounding the stewardship of Canadian agricultural lands in general and of ecological goods and services in particular.